I do love to experience different kinds of skin products, especially those kinds that can be used in so many ways. From burns, to rashes, and to beautify, are just so intriguing. I read a little about what makes Rosebud Salve can do for me, and even happier when I received an email that I can work on a review. I’m way thrilled to hear about the news, for this would be my chance to be able to try a product that is new and innovative. The Rosebud Perfume Company created this product for all kinds of purpose as well as a way to heal simple skin problems. The products are all made in the USA and have an Award Winner of Blambleberry Rose 2008 Golden Compact Award is a great way to learn more. · The packaging is very impressive; the product comes with refrigerant gel to ensure its temperature to keep the salve and balms from melting. · It has very soft lip balm and salves so that refrigerant gel is a must to be in the shipping. 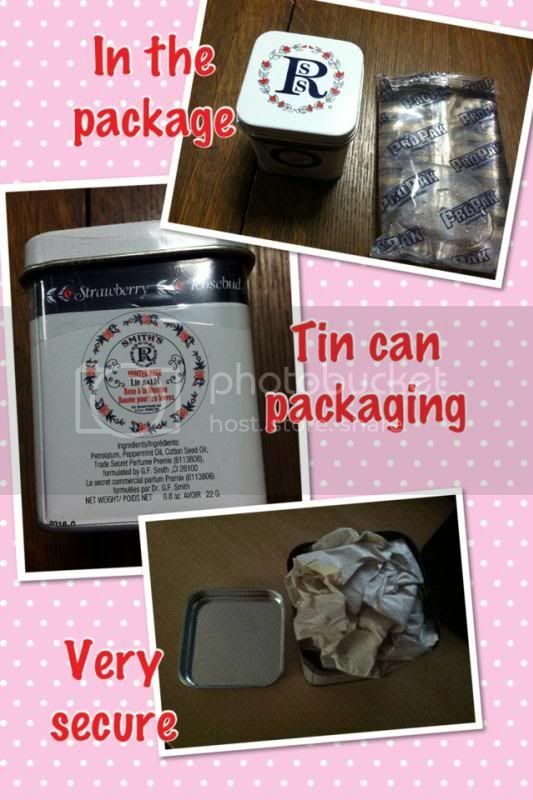 · I love the metal cover and case I can reuse it when it is empty. 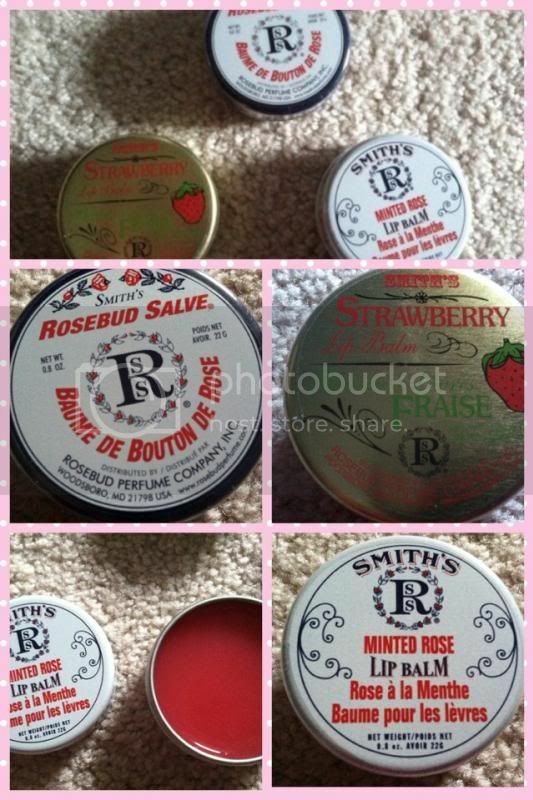 · Come with 3 kinds: minted rose lip balm, rosebud salve and strawberry lip balm. · Minty and I just love it, feels like it’s healing my chapped lips. · The mints stay at least for a while. · Make sure you just use a little bit, since it’s too waxy/jelly if you put more. · Can also use many different ways like diaper rash, dry scalp [which I have a problem with during winter] itching and more. I really love how this kind of skin product gives a lot of cures on those simple skin problems. Please visit Rosebud Perfume and try their wonderful products. You will astonish when you tried them. In addition, you can follow them on Facebook page to see what’s new with the company. That and foundation is all I wear, I will check this out. I go through lip balm like crazy. 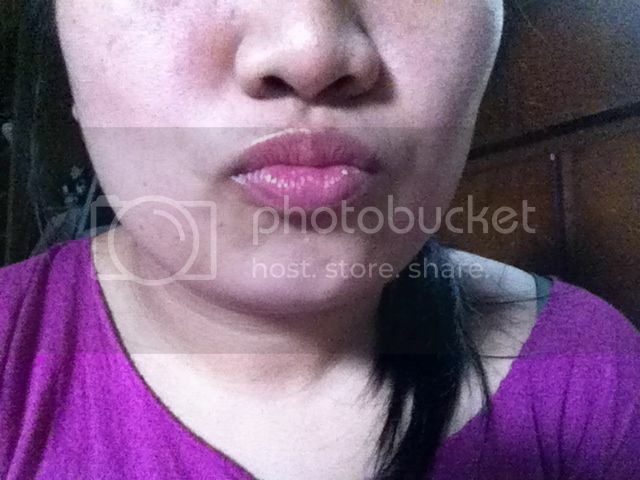 I use lip balm all the time. But it melts so easily in the heat. Would love to try this out as well. How nice, love the one you are wearing! I also love those containers. I could use some better lip balm. Living in Colorado it is dry and hot. I go through lip balm like crazy but this sounds like it might just be effective enough for me to only use a small amount. i love lip balms. will be checking this one soon. Lip balm is just about all I use these days. Sounds like a good one! I always use lip balm all the time, I lose it all the time too! I keep tons in stock at my house. Can not wait to try these out. I love good lip balm this sounds and looks great! I will have to try it.